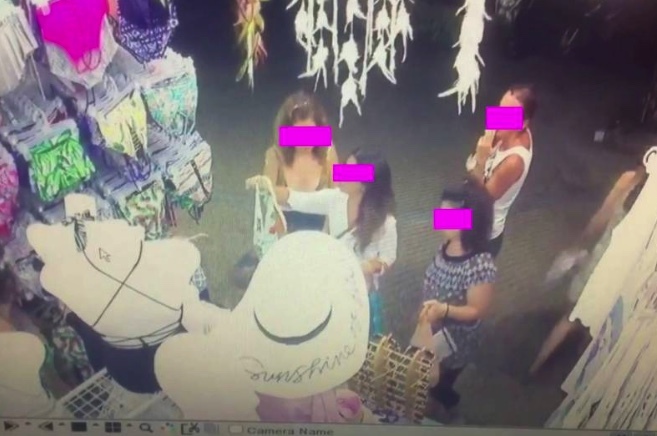 CCTV in Ao Nang, Krabi showed a team of foreign women casually stealing swimwear from a shop in the tourist zone. The owner of the shop went online to complain that this was not the first time she had been hit by foreign shoplifters. And she wants action to catch them and stop other businesses being victims. Netdao Wiwatratsamee, 33, had gone on Facebook to vent her frustrations and post the footage. She told Daily News that she noticed some of her stock was missing when she opened up on Sunday. A bikini was gone. A check of the CCTV revealed the thieving antics of a group of five foreign women and one man. She has reported the matter to Ao Nang cops who promised to try and find the gang. They look like they could be from Eastern Europe. Maybe Russia. And what brings you to that conclusion Sherlock? He clearly stated 'they look like'... thus, its quite obvious that in Xonax's opinion, he thinks they look as if they 'could' originate from Eastern Europe, possibly Russia... Its not a conclusion its an opinion on a web-forum on which many opinions are expressed... and sometimes shot down by someone being critical and offering nothing of benefit whatsoever to the discussion / topic. Back on Topic - I think they look as if they could be from the UK. I'd hazard a guess and suggest that far more has been stollen by locals, but that wouldn't make a decent enough Facebook rant or reach the news. Fortunately the majority of Thai's are smart enough to judge us each based on our own individual merit, I hope this doesn't change and we become tarred by the same brush as these thieving miscreants. As you said they "could"
Well you get your photo taken at immigration. Catch them. Stealing outside of daylight hours is serious. Lock 'em up. That'll wipe the smiles off their faces. SCUM. Hey! What about the US? We want to be on the list! Checking the stock - one missing string bikini - are the band of five going to share it? I think you are all losing it. The gang is probably back in Eastern Europe somewhere laughing at them and showing off their free bikinis to their friends.